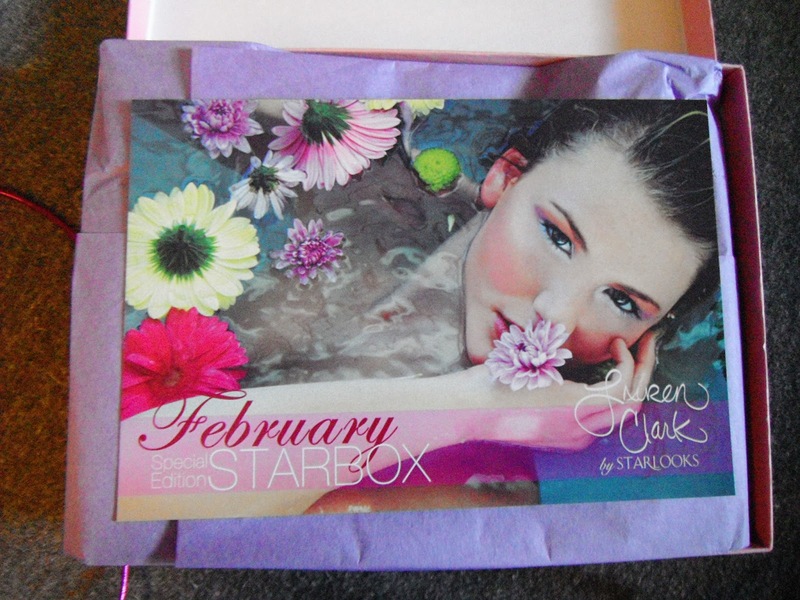 It's my favorite day of the month - the day I wake up to find my Starbox in my mailbox! Starbox is a monthly subscription service by Starlooks, in which you receive 3-4 of their full sized makeup products each month...and over the last months, it has easily become my favorite sub! The product variety and quality is just great. 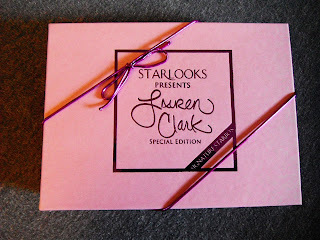 This month, Starlooks made a Special Edition collaboration box with makeup artist Lauren Clark. The packaging is always nice, but it's extra cute this month, all pink and purple - perfect for February! I really love their info cards - they always feature the products used in a beautiful way. The items included are listed on the back. Pink Oasis lip gloss - This is a sheer, sparkly lavender gloss. It feels nice on the lips! It's not sticky, and it doesn't have a scent or flavor to it. Barbie HD Fluid Blush - This is ridiculously pigmented! It's a lovely super saturated fluid blush...it is gorgeous and the smallest amount goes a long way. Princess Diaries Eye Liner - This is a gorgeous pearlescent baby pink liner! It can be worn to line the eyes or to highlight, and it can also be worn as a shadow base or a cream shadow. It's also waterproof and smudge proof! Lip Liner in Tipsy! This is a gorgeous creamy coral lipliner. It is a special Lauren Clark edition! 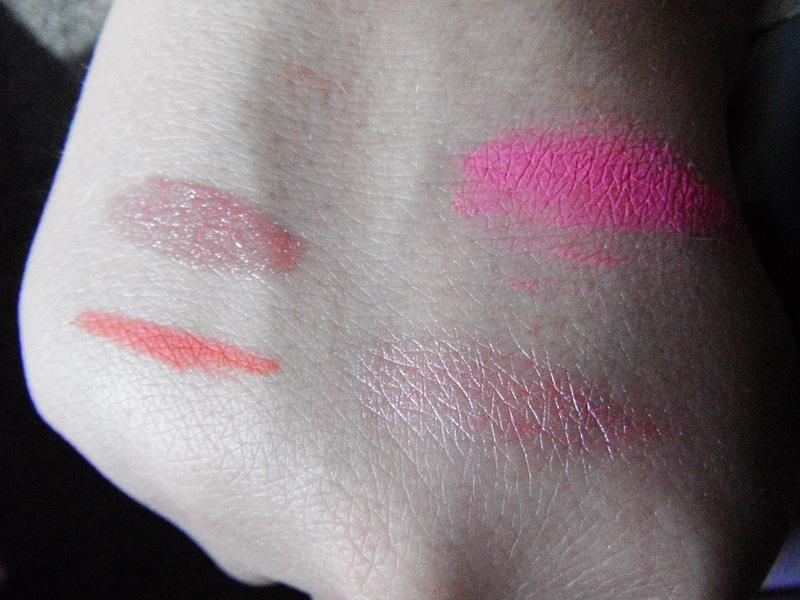 Here are swatches of all of the products. I'm super impressed with every single one of them! This might be my favorite month yet. 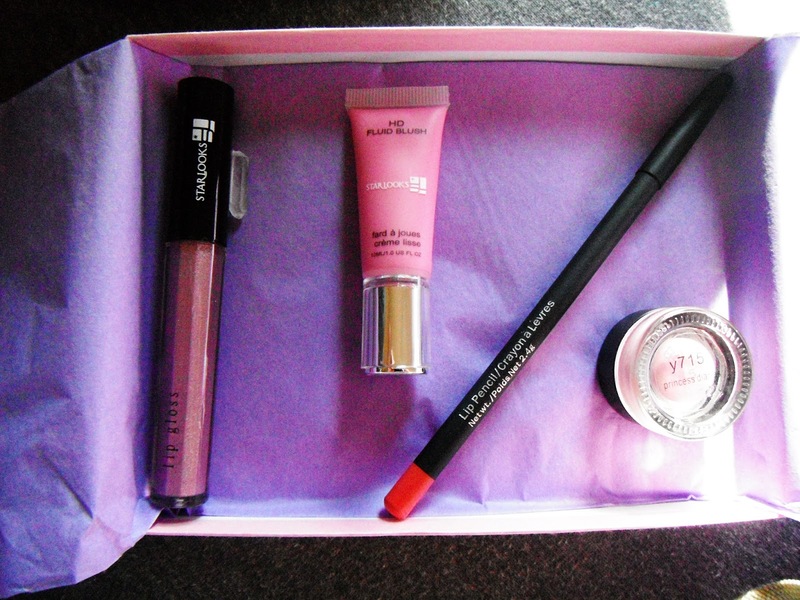 Starlooks lists the retail value of the box as $41, but that is not counting the lipliner! Their liners are listed as $9.50 on their site, so assuming this special edition one is valued the same, the value of the box is actually about $50.50. Not bad at all! Have you tried Starlooks yet? and you're simply too magnificent. I really like what you have got here, really like what you're saying and the best way through which you assert it. You're making it entertaining and you continue to care for to stay it wise. I can't wait to learn far more from you. I as well am an aspiring blog writer but I'm still new to everything. 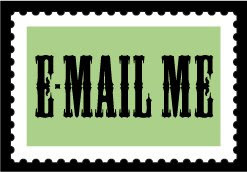 Do you have any tips and hints for inexperienced blog writers? I'd genuinely appreciate it. You're so cool! I do not suppose I've truly read a single thing like this before.